Chronic low-back pain continues to be a strain on both patients and the health care system, with some estimates saying that the overall cost of dealing with this condition runs close to the one-billion-dollar mark. Not surprisingly, a lot of controversy is now being stirred up around how best to approach chronic low-back pain and which treatments are likely to be the most successful. Many studies are now pitting one treatment against another to find out who “wins.” There’s a problem with all of this research, however, in that it’s often difficult to determine the exact nature of the results of these comparative studies. For example, take one study in which a total of 1,193 patients with chronic low-back pain were identified to participate. Of those patients, 981 were ineligible: 39% because the distribution or duration of their pain would interfere with the clarity of study results; 26% because they couldn’t, didn’t want to, or were unavailable; 19% because of other medical problems; and 16% because of age restrictions. In the end, only 178 patients were enrolled in the trial. Ninety-three of these patients were assigned to an osteopathic manipulation treatment (OMT) group and 85 to a standard-care group. Twenty-three patients then dropped out of the study. That left only nine in the OMT group and 12 patients in the standard-care group. Another six patients dropped out before follow-up visits could be done. In this particular study, the researchers found that OMT triggered a faster reduction in pain. This group also took less pain meds than the standard-care group. But because the original number of participants shrunk from a potential 1,193 to just nine in the OMT group, the study’s findings now hold much less credibility. The difficulty in weighing the results of studies that compare treatments for chronic low-back pain is problematic for anyone wanting a straight answer about what works and what doesn’t. Should the results from the study we just looked at be discounted? Are the results inconsequential? Or does the quality of the study, the study design, and the research methods make the conclusions important, regardless of the number of patients involved? Should we take the findings seriously and consider OMT as a potentially safe and effective treatment for chronic low-back pain? If you’re quickly skimming study results, you might pass over the conclusions of this clinical trial and move on to another one with more impressive numbers and results. However, there’s no guarantee that the next study doesn’t contain flaws in its execution or presentation, however impressive its conclusions. In order to help us all out with interpreting study results, the Task Force on Research Standards for Chronic Low-Back Pain, under the umbrella of the National Institutes of Health, was created. It’s the job of this task force to develop common standards for all trials involving low-back pain treatments. This new framework will help establish a common definition of chronic low-back pain (remember the study we just looked at where the researchers felt compelled to exclude a huge number of patients due to the location and duration of their pain—other studies clearly do not approach the definition of chronic low-back pain with such integrity). The task force will also set standards for study eligibility and outcomes that will aid all of us in finding the best and brightest (and clinically-proven) treatments available for back pain. Stay tuned for more on this in the upcoming months. Khalsa, P., “New Standards Being Developed for Studying Low-back Pain,” the National Center for Complementary and Alternative Medicine web site, May 17, 2013; https://nccam.nih.gov/research/blog/back_pain_standards, last accessed online June 2, 2013. 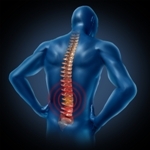 Cherkin, D.C., et al., “Osteopathic Treatment of Low Back Pain,”N Engl J Med 2000; 342:817-820. Cruser, D.A., et al., “A randomized, controlled trial of osteopathic manipulative treatment for acute low back pain in active duty military personnel,” J Man Manip Ther. February 2012; 20(1): 5-15.